The Olori Stripe accent chair is made with a bold stripe fabric in earth tones, with wooden details. 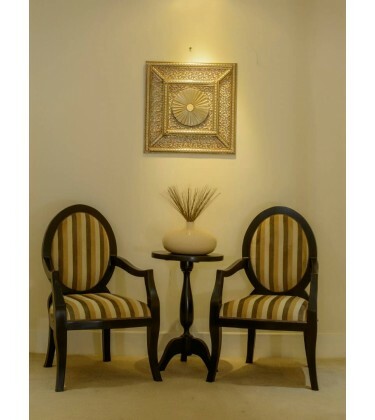 Styled with our Ostrich leg accent table. 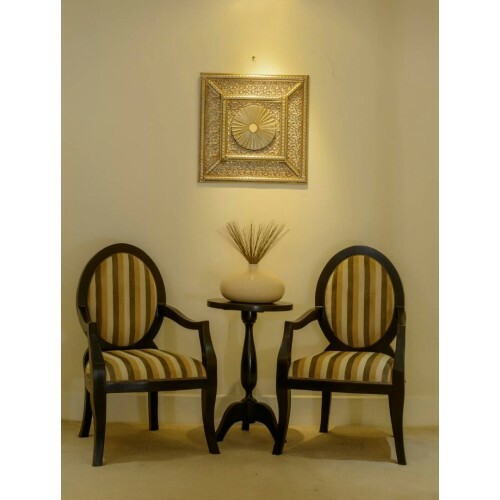 This look is ideal for anteroom set ups, and mini sitting section within the living room.